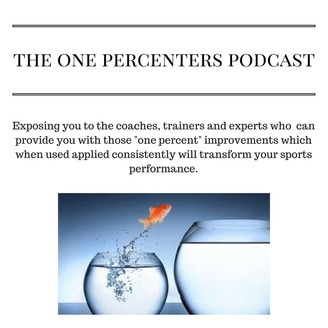 Welcome to the One Percenters Podcast. 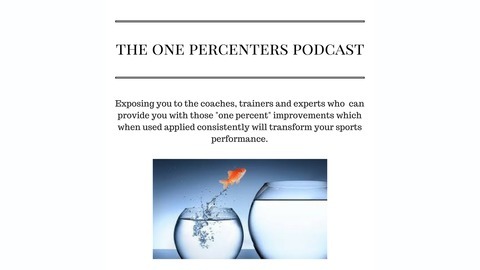 I'm Rob Gronbeck, a peak performance coach, and I'm going to bring you the coaches, experts and performers who have mastered those one percent improvements methods for getting more out of yourself and others.You don't need to make drastic changes, just many one percenters over a consistent time frame and you will create a revolution in your life. Ep4 - Peter Tarca - Entrepreneur, Breakthrough Coach & Founder/Editor of NLP Magazine - Your inner experience, working with yourself, limiting beliefs, alignment and love. Ep3 Adam Walker - Musician, Skateboard Coach, Mentor - Transformational experiences, living life in the flow, & non-conformist groups. Ep2 Deb Johnstone from Transformational Pathways Australia - The mental process for harnessing the power of clarity, discovering what really drives you and how to get more of what you really want!